Delphinium Books has sold more trade copies of Joseph Caldwell’s Pig Trilogy than any other of its books. And like many success stories of books that come out of relative obscurity, The Pig Trilogy is a perfect example of the mystery of bestsellerdom, an example of why publishing, as hard as it tries, can never be a hard-fact business of past performance and future prediction of what will sell. It comes down to what the public is looking for at any specific time. And this means that some books that would sell 100,000 copies today might only sell 10,000 copies a decade from now. It means that a tried-and-true author with a track record and a following of readers could easily bomb with a book that isn’t necessarily worse than the author’s other books but rather is just a book that people at a certain moment are not interested in reading. The first of the pig books was published in 2008, and while the author was somewhat known in the literary world as a well-reviewed novelist, his books never sold more than a few thousand copies. The book’s premise is delightful: a pig escapes from its pen and roots up the garden of Kitty McCloud, a bestselling novelist who corrects the classics. There was a respectful review of the book in The Washington Post and then the book made a list of recommended books and then sales began to jump. Nearly a decade and many thousands of books later, the book is still selling briskly. The author, capitalizing on the interest in his first pig novel, wrote two other pig novels, all of which have sold well. What is the baseline of continuing sales? Word of mouth. For example, a book can be glowingly reviewed on the evening edition of NPR and generate a few hundred instant sales by readers driving home from work who believe the book sounds interesting. But unless these people actually read the book and recommend it to friends, the sales of the reviewed book will quickly trickle. Yes, another publication might hear the NPR review and then another review will appear and perhaps 50 more people will buy the book based on what they hear. But that still doesn’t account for the thousands of sales that NY Times best sellers rake in every week. There is just something about a pig wrecking havoc in the lives of humans that draws in many readers who are content to keep recommending it to their friends and neighbors. 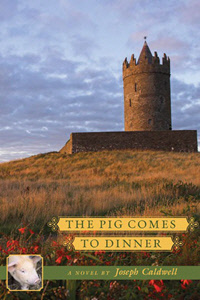 The e-book of The Pig Comes to Dinner, the second of the three Pig books will be on sale July 1st for $2.99. The year was 1984, and a burst of articles and essays were published in Time and Newsweek about how our world was different than the one George Orwell had imagined in his dystopian masterpiece 1984. I was only twelve years old then, but I read the novel that year and it left an impression on me that has taken me years to truly process and articulate. Writing my dystopian novel Sleep, about a society where an oligarchy uses technology and torture to maintain an order based on strict gender control and repopulation, is my answer to both what I read and witnessed growing up and living in South Asia. As an adolescent, I resented the deep-rooted patriarchal traditions of South Asia that dictated where I could go, how I should dress and conduct myself, and what I was supposed to do with my life. As a grown woman, I learned to resist — through my writing. Sleep portrays a group of women who resist the system of gender oppression, but they’re unable to truly escape it. So they go underground and subvert the system, using their intelligence, their sexuality, and their wisdom about what men lose out on when they too submit to patriarchy. Orwell’s impassioned warning against fascism echoed what we were witnessing on a daily basis in Pakistan, ruled by dictatorship. 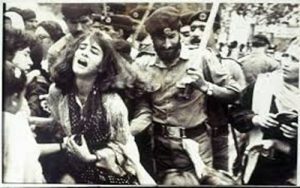 A scene where Julia is beaten by the police and then arrested frightened me terribly, perhaps because only the year before, women protesting in Lahore against General Zia’s Hudood Ordinances, twisted interpretations of Islamic law, were beaten and arrested by the police. This iconic photograph from a 1983 protest on Lahore’s main street is what I imagined that scene from 1984 to look like. The deadly combination of dictatorship and patriarchy stayed with me as I went to the United States for college. At Wellesley, I read The Handmaid’s Tale but I couldn’t relate to Atwood’s vision of a fundamentalist Christian republic. 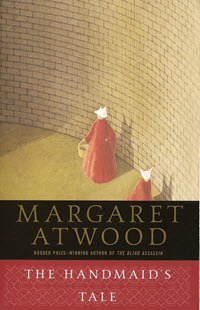 My own experiences were far more visceral than Atwood’s visions. Today much is being written about how parts of The Handmaid’s Tale are an actual reality for many women in the world, especially in orthodox Muslim societies. But no North American novel could relay the insecurities of a young girl or woman in the cultural wasteland of Zia’s Pakistan. As a writer and social observer, I have seen great misogyny in Pakistan, and in its neighbors, Afghanistan and India. Sometimes I ask myself if men hate women so much that they want them all to cease to exist. Then I wonder what a world without women would look like. That world is already true in parts of rural India and Nepal, where men resort to sharing wives because the male-female gender ratio has dropped perilously low, thanks to gender-selective abortions and female feticide and infanticide. I was determined to write about this world, which is steeped in shame and science. In this, I was inspired by Brave New World, in which Huxley wrote about reproductive technology and the chemical-assisted manipulation of reality to achieve utopia. What I’ve distilled through all of this in Sleep is a paean to women’s resourcefulness, the importance of male allies and friends, and faith that we can redress the imbalances of our societies. Sleep will be available in the summer of 2018. It will be published by Delphinium Books and sold at all major bookstores. Here is another post about dystopian novels that you may enjoy. Also, here is a link to a book published by Delphinium Books authored by Bina Shah – A Season for Martyrs. Bina Shah is a Pakistani writer and commentator who writes a monthly column for Dawn, the biggest English-language newspaper in Pakistan. She also contributes to The New York Times, Granta, The Independent, Al Jazeera and The Guardian and appears frequently on the BBC World Service and NPR’s PRI The World. Educated at Wellesley College and the Harvard Graduate School of Education, she is an honorary fellow of the University of Iowa’s International Writers Workshop. Her novel Slum Child was a bestseller in Italy, and she has been published in English, Spanish, German and Italian. A Season for Martyrs is her U.S. debut. She lives in Karachi where she is known as one of the country’s top feminists and advocates for girls’ education and women’s rights. 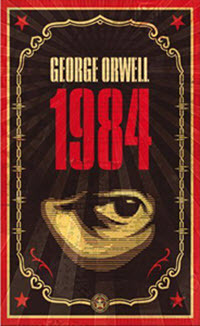 Everyone in high school read 1984, the great dystopian novel by George Orwell. It was required. And while my own reading of that novel came within a few years of the actual date in the title, I didn’t think the book was necessarily prescient. It turns out that Orwell was an author whose work ripened into relevance the longer it lasted. Most literature isn’t good enough to be timeless, but Orwell’s has endured. It was the same scenario with Margaret Atwood’s The Handmaid’s Tale, a novel about the total subjugation of women in an advanced society. When it was published in 1986, the novel seemed inventive and provocative but not necessarily relevant. Thirty years into the future, when the world’s various established political and social orders seem about to implode upon themselves, the novel’s invention seems urgent and uncannily timely. This, perhaps, is why after all these years it has been made into a miniseries and is talked about in terms of the present political situation. In their day, Orwell and Atwood’s dystopian fiction was considered outlier fiction. Since then, they have inspired a whole fleet of contemporary dystopian novels. Many of these novels have been written by writers who live in countries where some human rights have been repressed, but not always. Certainly, not in the case of Emily Saint John Mandel who is from Canada which is among the most civilized countries in the world. 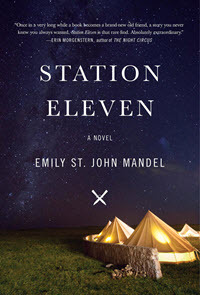 She wrote the best-selling dystopian novel Station 11. Delphinium’s own Bina Shah, author of the searing novel A Season for Martyrs, a novel that floats between the myths of Sindhian Pakistan and the last three gritty months of Benazir Bhutto’s life, has written a novel called Sleep, a novel about a future society in East Asia where the majority of women have died off and those who remain are saddled with several husbands, a crushing and overwhelming fate that causes many women to live underground. As one reads Sleep, such a world seems not only possible but possibly imminent. The task of the dystopian novel is after all to present a totally different civilization that seems eerily possible to evolve in the near future. Here is another blog post about an upcoming dystopian novel from Bina Shah that you may be interested in. I could spend weeks without leaving the block in Brooklyn I lived on. Eighteenth Avenue was my world, complete as far as I was concerned. I knew every one of the 182 concrete squares on our sidewalk. There, where I fell and cracked my head open trying to learn to ride a two-wheeler. There, where before I was born, a dog had stepped into the wet cement and left four perfect paw impressions, a canine fingerprint. And over there, where Uncle Saul hoisted me in his arms when I was four years old to see the silver spaceship float across the sky, or at the curb opposite the store, where an indomitable clump of weeds grew from a crevice of black dirt, my only flora, for there were no trees on this block in Brooklyn. 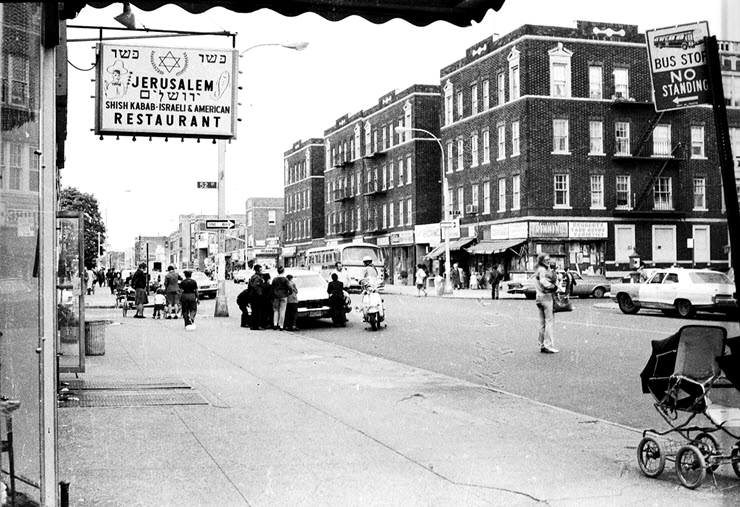 Our block was the Borough Park bus and truck company of Grover’s Corners, with our own characters and plot twists. Would Mr. Fleischman, a haughty German Jew who wore a pocket handkerchief and owned the gown shop down the block, have a second heart attack? Would Old Man McGlynn drink himself to death in his dark saloon, McGlynn’s Inn, where he and other scary men sat in shadows, hunched over the bar all day? Would Sima, the lovely young woman with hearing aids who lived above Klenetsky’s kosher butcher and made papier-mâché marionettes for the neighborhood children, ever get past her deafness and find love and have children of her own? Did jolly Mr. Silverstein, of Silverstein’s Fine Delicatessen, with the best stuffed breast of veal in all of Brooklyn, know his son, who lived in Los Angeles, was a pornographer? Was it true that the window display of Schecter’s Smock Shop hadn’t changed in fifteen years, and no one had noticed?